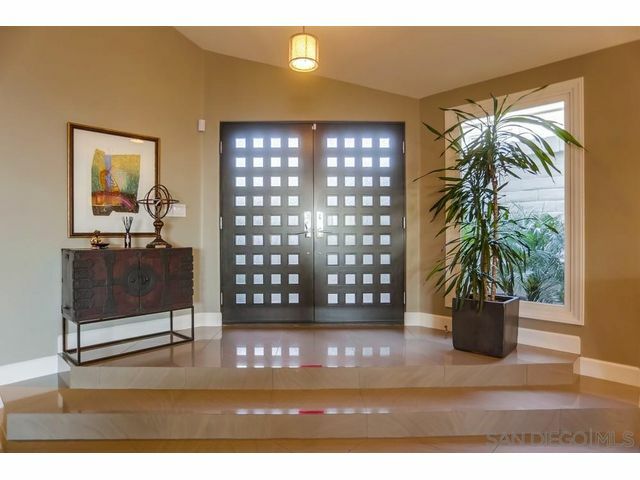 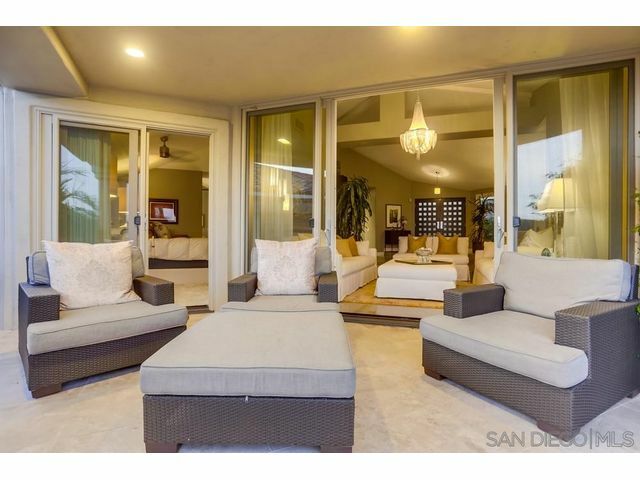 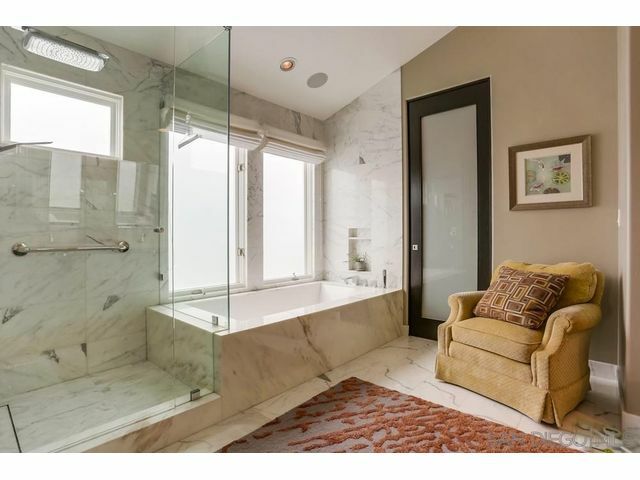 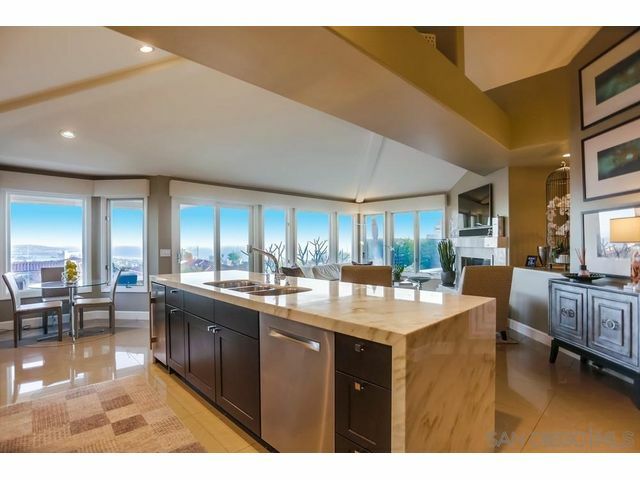 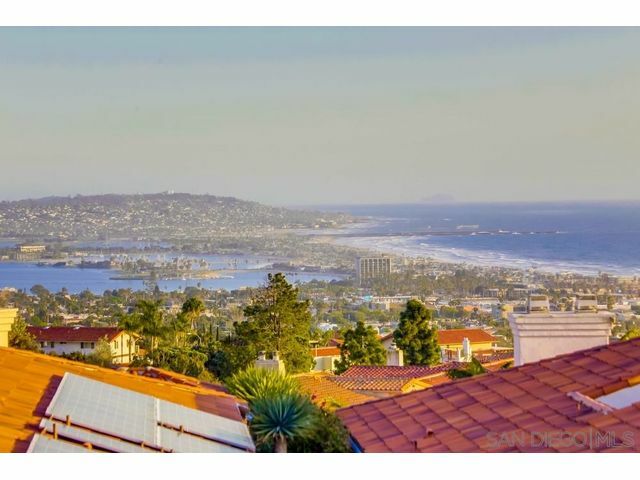 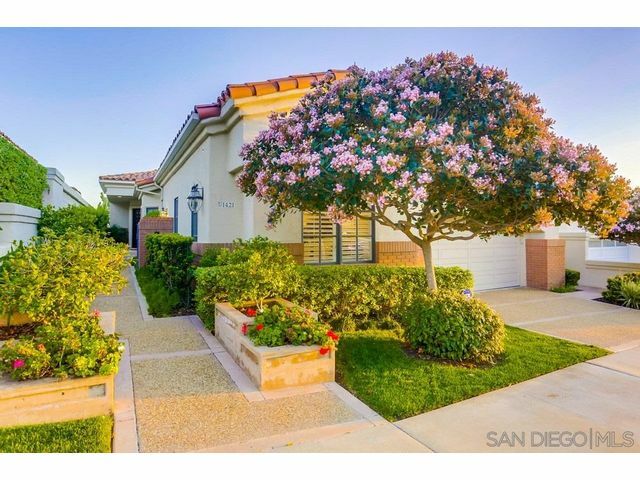 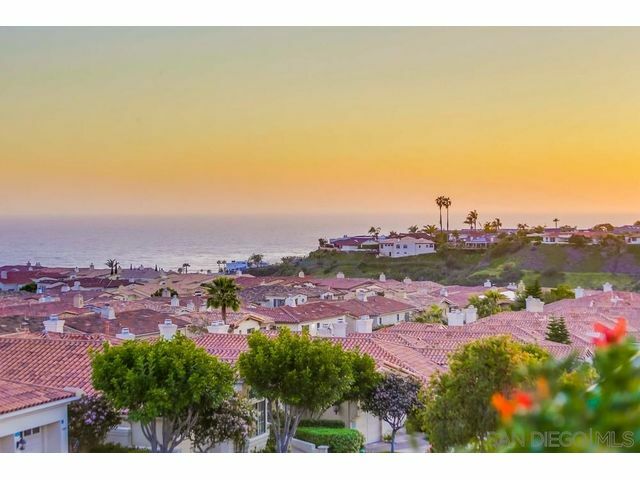 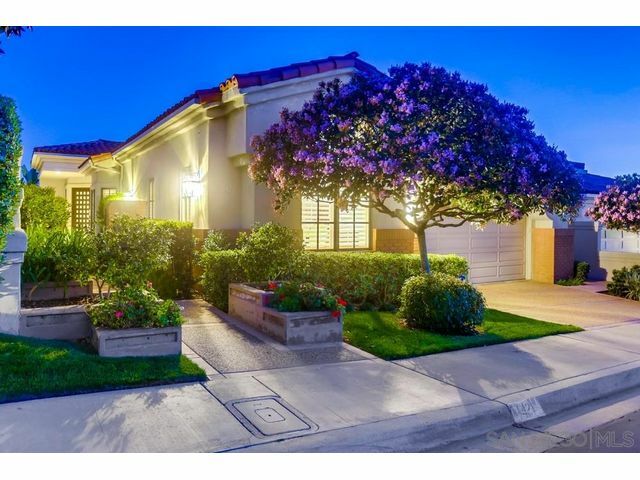 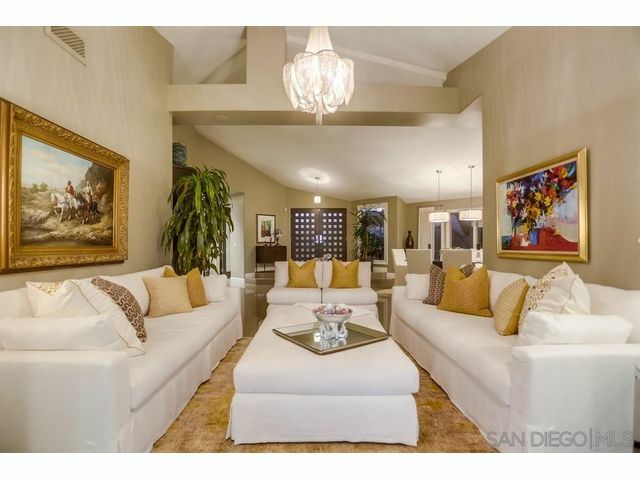 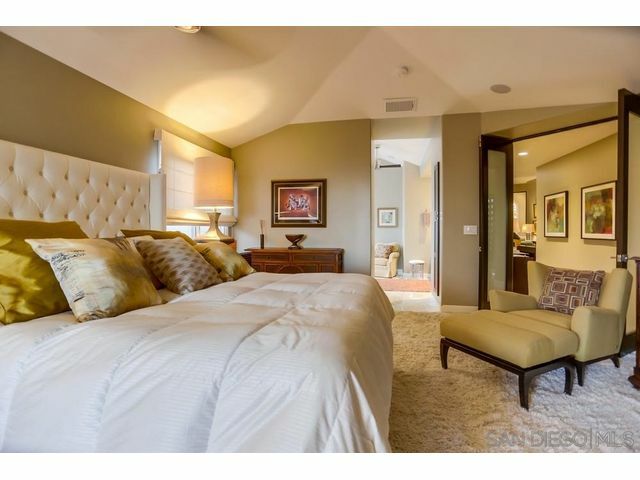 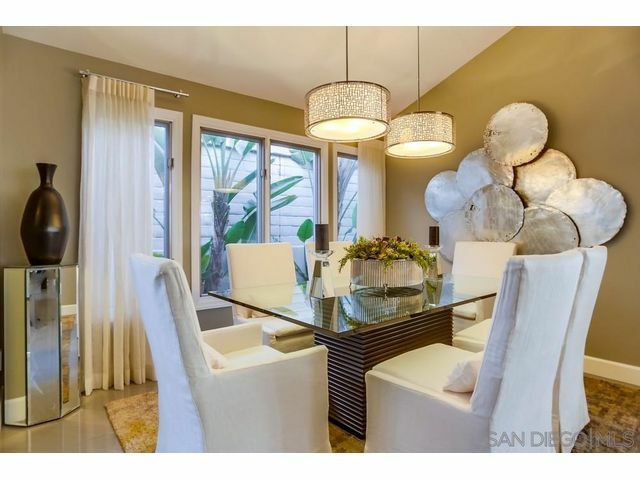 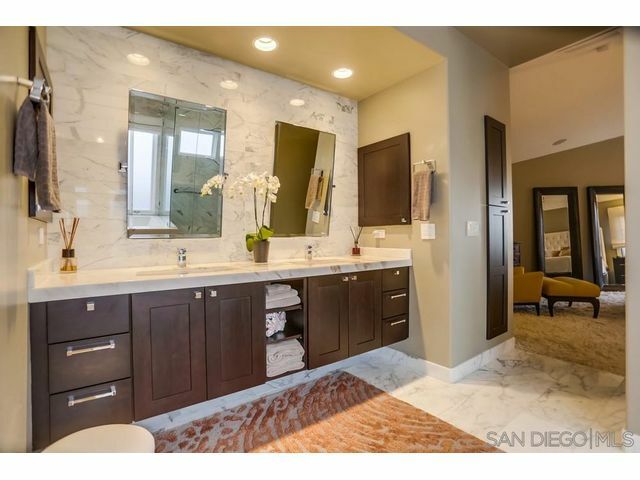 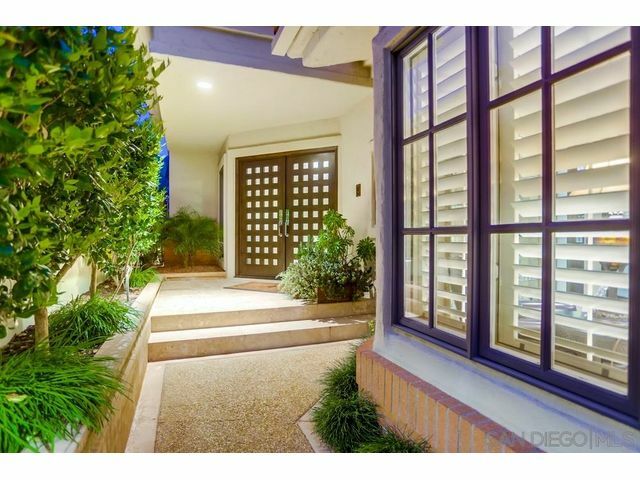 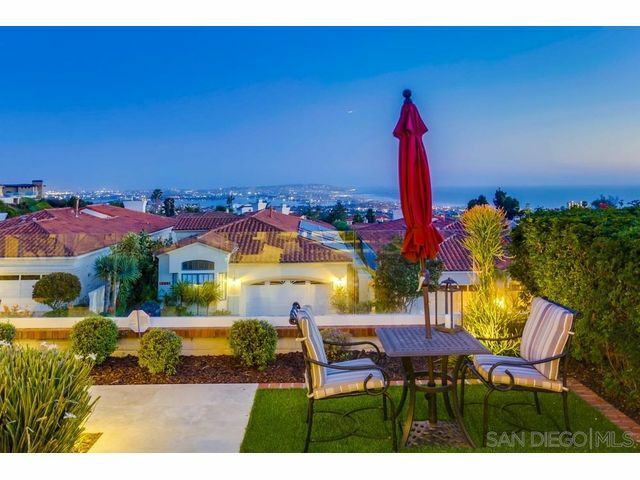 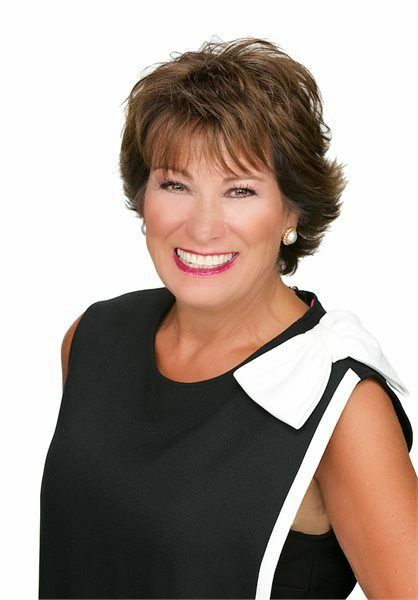 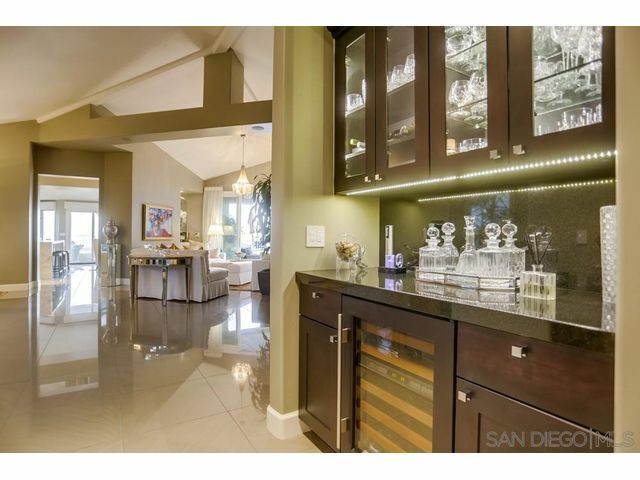 Stunning Single-level home with amazing white water, ocean, bay & city nightlight views. 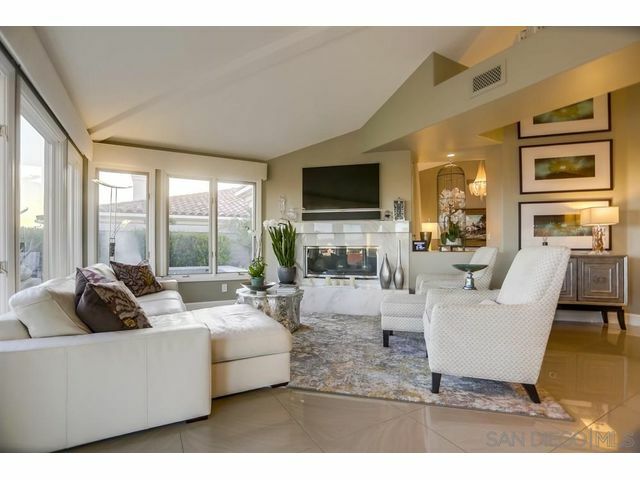 This elegant ‘Windsong ‘ model in the Luxury gated community of Crystal Bay has been upgraded with the finest designer finishes. 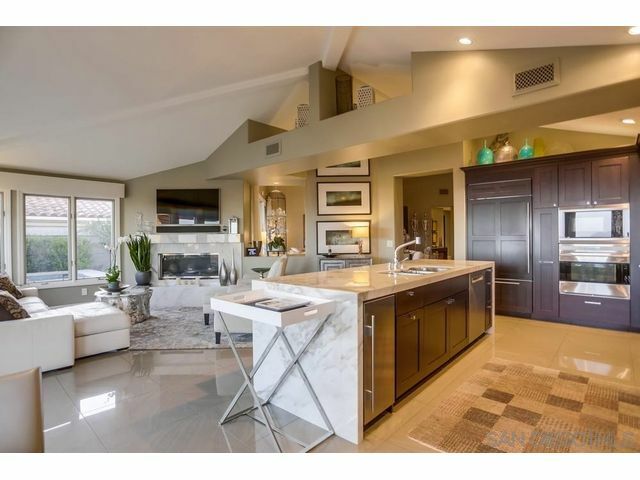 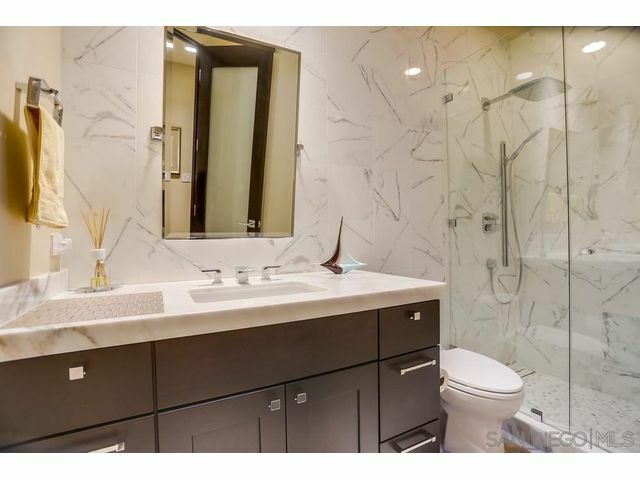 Private gated entry leads to Gleaming Italian stone flooring, Gourmet kitchen is bright with vaulted ceilings, Wolf & Sub Zero appliances, espresso cabinets & waterfall marble island. 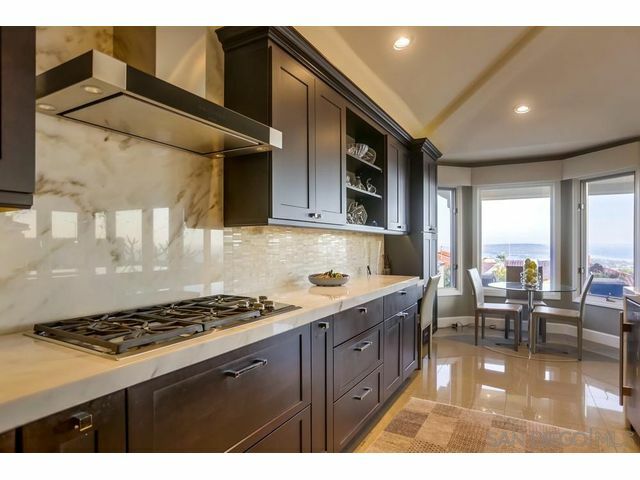 Open kitchen & family room enjoy ocean views, marble fireplace and french doors to the ocean view terrace.